Apologies, won't be able to make it. From Deepest Dorset, my regrets. The ambassador has spoiled us! WickedStepMother and mtikky like this. Surely I t can’t be a real ambassador, a real ambassador would have brought Ferraro Rocher! Greetimgs from Las Vegas, have a great evening! TravellerFrequently, Sealink, KARFA and 2 others like this. From my first time at a forum DO and from those who spoke to me, thank you for a brilliant night :-) you know who you were. Sealink and WickedStepMother like this. gliderpilot and WickedStepMother like this. TravellerFrequently, Sealink, Tobias-UK and 1 others like this. Good to meet the early arrivals when I popped in. Sorry I had to rush off so soon, but great to put some faces to names! It was an excellent evening - so good to add faces to familiar FT names! HIDDY, TravellerFrequently, KARFA and 2 others like this. Thank you to everyone who came. Great to see both familiar and new faces last night. Also many thanks to @teledude for his generosity with the food and shots. TravellerFrequently, WickedStepMother and Tocsin like this. Great to meet a few familiar faces, and put a few more to their respective names! Thanks to @KARFA and @teledude for organising! Don't worry, I almost “did a KARFA” this morning, so you’re safe. New experience in still being at check-in as boarding commenced at T5C... still, all’s well that ends well! Great to see some old friends, and meet a few new people too (hello again @WickedStepMother - we sat a couple of seats apart on a Finnair flight last month, but didn't speak until last night!). 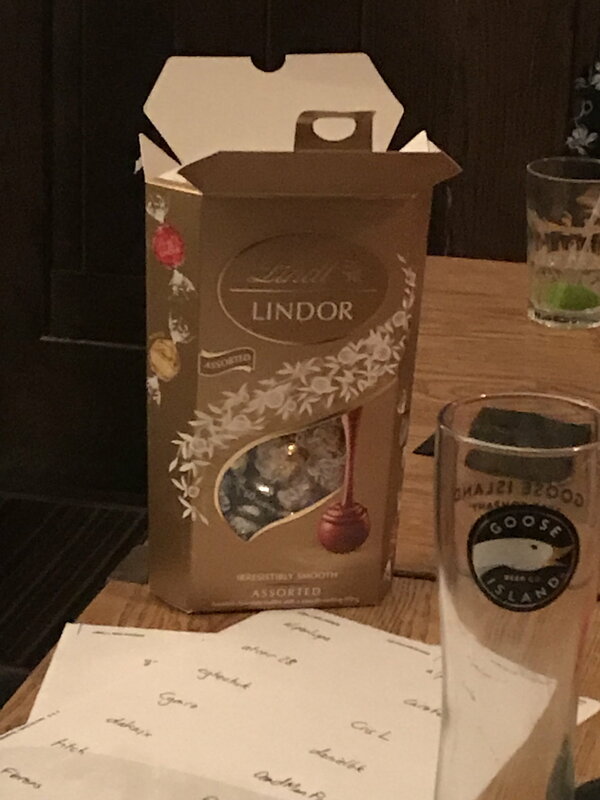 Thanks to @KARFA and @teledude for organising and their generosity - I must say that Lindt provide a far better quality of chocolate than Ferrero do ;-) and it was easier to resist teledude's insistance that you have a shot when he isn't there :-)! Can I vote that we move downstairs again next year if it's possible? TravellerFrequently, florens, KARFA and 2 others like this.